It has been reported on the 24 heueres website that the watch brand Fortis Uhren has filed for debt protection under Swiss insolvency laws. Fortis was founded in 1912 in Grenchen by Walter Vogt, and has been most widely known for its aviation watches. 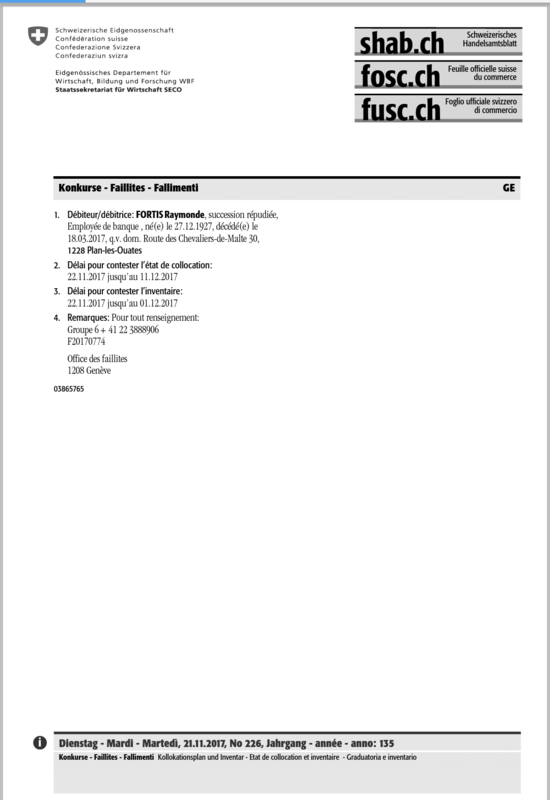 The Swiss Official Gazette of Commerce (SOGC) website lists documents dated 21 November 2017, 23 November 2017 and 24 November 2017 showing that the Civil Court of Soleure-Lebern has granted Fortis debt deferral in the form of a collocation plan and six months for debt cancellation, ending on May 20, 2018. 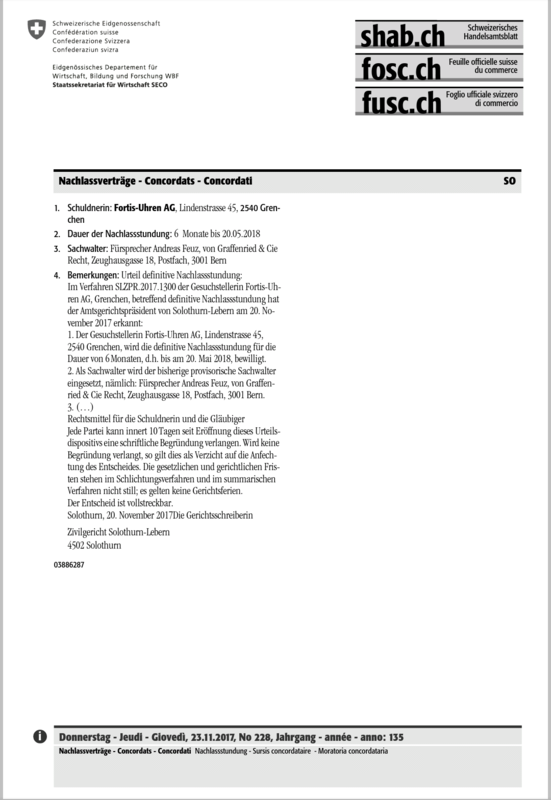 Under Swiss bankruptcy law, collocation is an act whereby all bankruptcy claims of all creditors are collected and ranked according to their bankruptcy class, which results in the creation of what is known as a collocation plan. This plan is able to be challenged/ disputed by a creditor/ complainant. During this six month debt restructuring period, during which operations are continuing as normal, an agreement can be negotiated with the creditors to provisionally ensure the continued existence of Fortis.